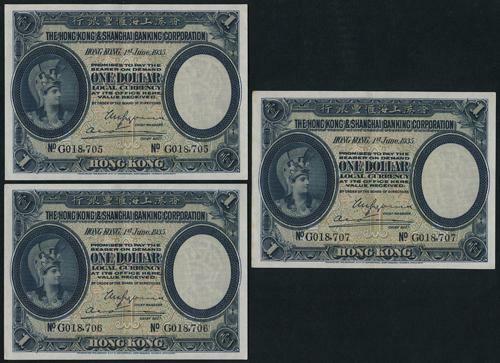 The Hong Kong and Shanghai Banking Corporation: 1935 $1 x 3 (KNB59c), consecutive serial nos. : G018,705-018,707. All Good XF.